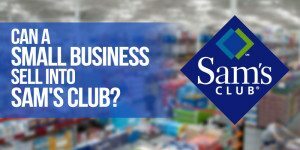 Can a small business sell into Sam’s Club? If the rapid growth of RingCentral is any indication, small business owners are rapidly moving away from traditional phone companies and moving towards hosted VoIP systems, which piggyback on the internet for carrying phone calls. Ring Central (NYSE: RNG) is one of the leading companies is this space, and went public in September of 2013…. Does networking provide a positive ROI?